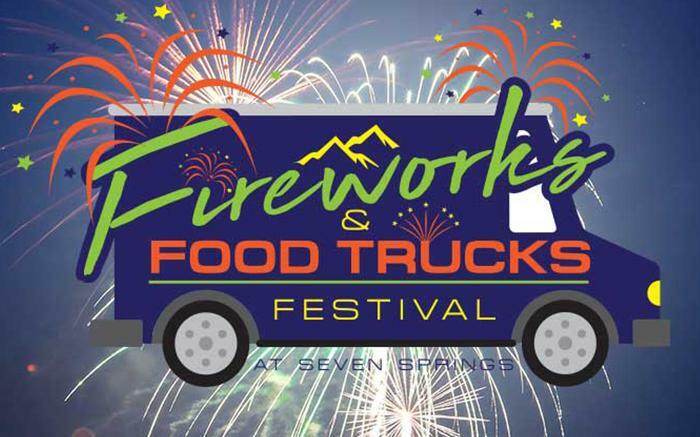 Join us this summer for the second annual Fireworks & Food Trucks Festival at Seven Springs! The spectacular firework show will be the largest and most impressive display that has even been presented on the mountain, with two amazing shows adding up to 45 minutes of pyrotechnics! Indulge in fantastic food truck eats featuring some of the best trucks in the region, all paired with live music all day long! Seven Springs will have it’s now famous Saloon featuring refreshing craft beers and cocktails. To round it out, some of the regions finest crafters will be on hand to share their wares. And the party won’t stop when the last pyrotechnics are set off; you can finish the night at our 21 and over after party in the Foggy Goggle!